The Sistine Chapel. All photos by Pavia Rosati. 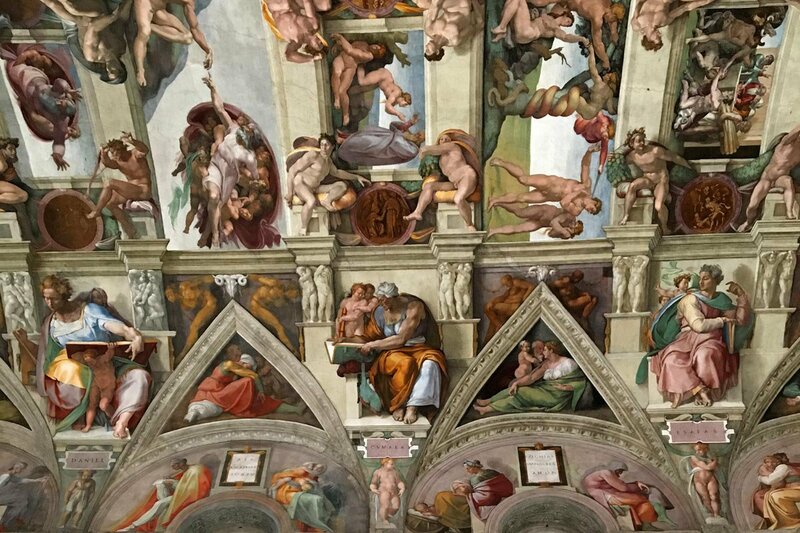 Fathom founder (and lapsed Catholic) Pavia Rosati had never seen the Sistine Chapel. Here's what happened when she finally made it there. How did that happen? 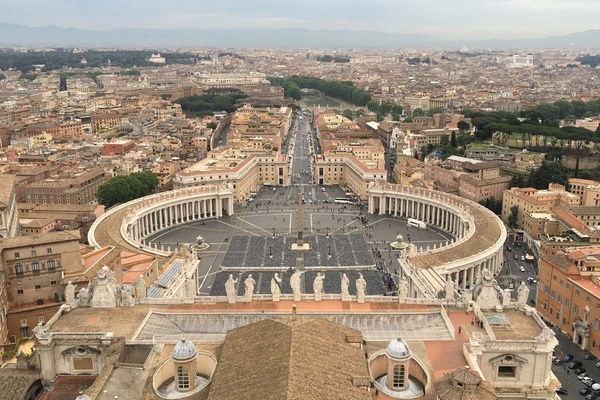 ROME – This story begins and ends with confession. I have never seen the Sistine Chapel. By way of explanation, I should start with a little autobiography: I go to Rome a few times a year, I visit churches everywhere I go, and I'm a lapsed Roman Catholic who can't shake her faith no matter how much the church infuriates her. Yet I never bother with the home of Catholicism, the Vatican. For several reasons. One: There are too many tourists — and at Fathom we strive to help travelers find the spots that tourists don't know. Two: I never plan ahead enough to buy advance tickets — and I hate waiting on unnecessary lines. Three: My childhood memories of St. Peter's Basilica are vivid enough that I don't feel the need to return. Four: I always have a cavalcade of other things to do in Rome. But still, how had I managed to miss the Sistine Chapel? Well, mainly because between 1979 and 1999, the decades of my many family visits to Italy, the Chapel underwent a series of extensive renovations that made visits all but impossible. Clearly, it was time to rectify this glaring ecclesiastical omission. My snobbery about Doing Anything Touristy meant that I continued to miss one of the world's greatest spectacles of Renaissance art. So the night before setting off for Rome last May, I made a plan for my first day. I would land at 11 a.m., take the train to Termini Station, drop my bags at my glorious hotel, La Scelta di Goethe, hop the subway across town, and, sailing past the tourists lined up around the block, present myself at the Vatican Museum's advance purchase desk to collect my 2 p.m. tickets, an hour that coincided (I hoped) with a post-lunch tourist lull. This, by the way, is not the winning strategy. The smart plan involves arriving at 7:30 a.m. before the museum opens to the public or at 9 a.m. and going directly to the Sistine Chapel while the hordes are traipsing through the museum's many galleries. Maybe I wanted to do it the hard way as penance. I picked up my ticket, bought my audio guide, and, having slept only two hours on the plane over, dove into the fray. I won't lie: The crowds were overwhelming and atrocious; the selfie sticks, uncountable and unforgivable. 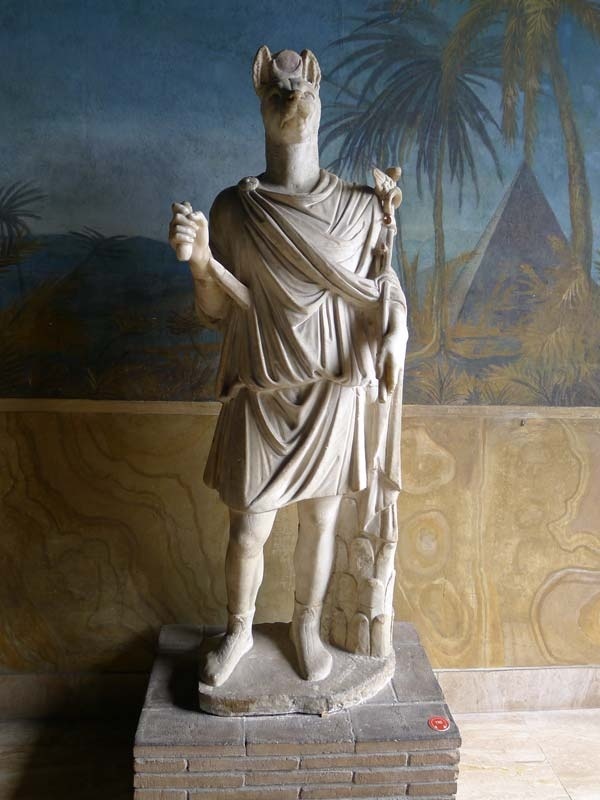 Yet nothing could detract from the majesty of the art: the preserved Egyptian mummies, the phalanx of busts in Museo Chiaramonti, the elaborate tapestries, Raphael's rooms (and the magnificent School of Athens). 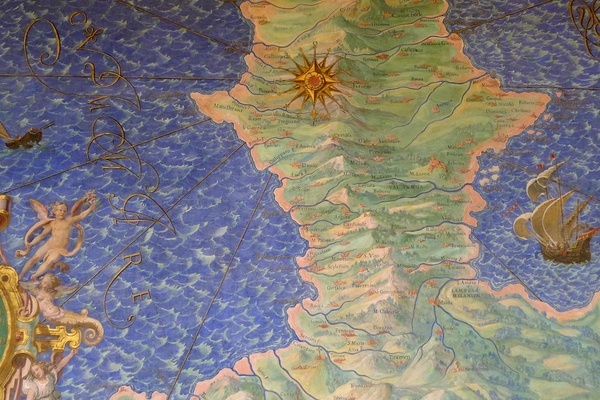 The Gallery of Maps was a particular thrill for this traveler: I delighted in finding the medieval depictions of my family's various home towns throughout Italy. I was understandably on high alert when I finally entered the Sistine Chapel. The room itself was smaller than I expected, and the vibe was initially off-putting. "No photos!" barked a guard repeatedly from the altar. No photos in here? I thought, thinking of the several hundred I'd already snapped in the other galleries. Yeah. That's a directive I'll be totally ignoring. While I was listening to the audio guide explaining the parallel lives of Moses and Jesus on opposite sides of the chapel, an African priest took to the microphone and repeated the same message in Italian, English, Spanish, an African-sounding language, and French: "This is a holy space, and you all are welcome here no matter what you believe. This is a place of peace, and we hope you take peace with you. When I'm finished, I'm going to lead the Lord's Prayer, which you are welcome to join, and then will be sitting by the altar if anyone wants to give confession." He then said "thank you" in about 30 different languages, including Arabic, Chinese, and Russian. I stopped my guide and joined in the Lord's Prayer. As I watched him take a seat by the altar, I froze. I hadn't been to confession in 20 years — because 20 years ago I made an active decision to stop going to confession. But this was the Sistine Chapel. The Sistine goddamn Chapel! How could I not go to confession? So I found myself sitting beside this priest on a bench under the splendor of Michelangelo's frescoes, trying to remember the words I had learned as a child. "Bless me, father, for I have sinned," I began, wondering how I'd summarize a few decades' worth of things I'm not proud of. I was overwhelmed. In no time, I went from choked up to too teary to be eloquent or even coherent. He was patient and gave me counsel that I found surprisingly relevant and insightful. "Shall we say the act of contrition together?" he asked. I tried one prayer. "That's not it," he said gently. I tried another. He demurred. "Why don't you say your own act of contrition," he offered, even more gently. The entire exchange took five minutes, if that. I found a seat on the bench surrounding the chapel and stared up at the image of Adam reaching out to touch the hand of God. I spent another half hour in the Chapel, then made my way out of the Vatican Museums through the modern art gallery. Once outside, I passed the entrance to the cupola of St. Peter's. What the hell, I thought, I'm here. Let's do it all. I climbed all the way up along the spiral of an ever-narrowing stairwell, then walked the perimeter of the dome, staring down onto the mighty church below. From there, I walked out onto the roof and explored the expanse of the ceiling atop God's house. The views onto Rome were fantastic. The city looked timeless, serene, and empty, the very picture of a kingdom of power and glory.